We are a bi-racial family. And though we have yet to really explore all parts of Squeaker’s ethnic background; we have plans to do so soon. We’ve briefly explored her Polish heritage with a mini tot school unit on Poland. And I have a lot of plans for a toddler/preschool world culture unit. It’s one of my favorite things to learn about and I think she’ll really enjoy it too. Tolerance and acceptance are two things that I think are crucial in today’s society. 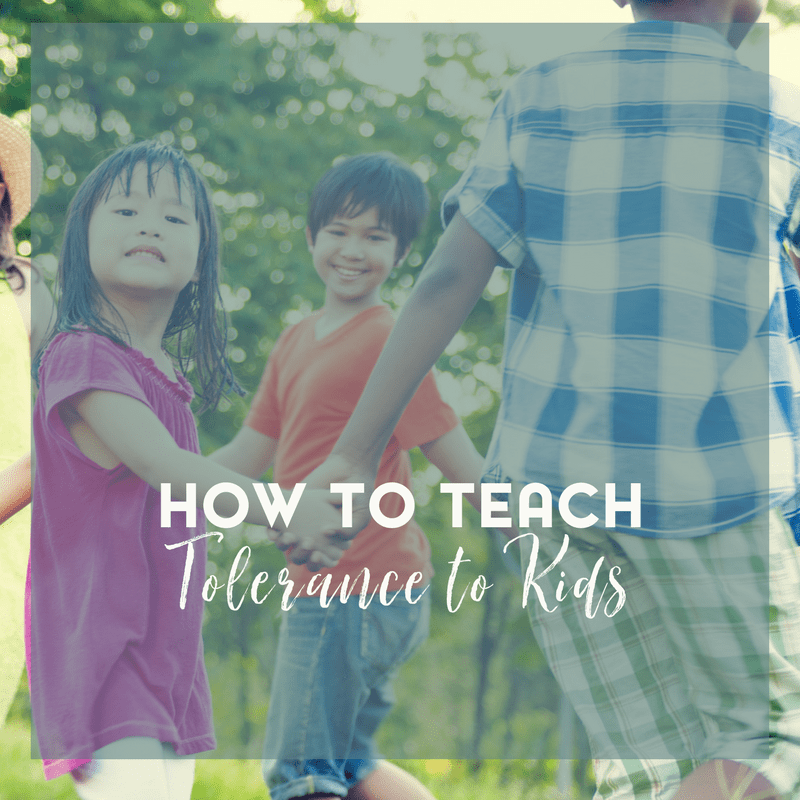 It’s a core part of my quest when it comes to raising kids with character and today I want to talk about how to teach tolerance and acceptance to kids. And equally as important, why diversity matters and why we should embrace it. In this day and age, diversity is everywhere. People of different races, religions, genders, sexual orientation and abilities live in close proximity. Many parts of the world including the United States have become a true “melting pot” in most cities. It is high time that we learn to live together as respectful human beings. That is where tolerance begins. Tolerance is the mindset that differences among people are to be acknowledged and respected. All of us come from various ancestral backgrounds. The history of some is fraught with danger and a fight for the very rights that were given freely to others. These facts beg to be understood and recognized as a part of accepting who each person truly is. What tolerance is not is condoning poor morals and bad behavior. While you may respect a person’s right to free speech, that doesn’t mean that you have to accept their message if it is one of hatred. In accepting what makes us unique, it is the spirit of tolerance that causes us to speak out against such societal ills. Even celebrities can teach us about tolerance. Children these days are a bit more enlightened than probably their parents were. That might be due to the fact that information in abundance is right at their fingertips through the internet. Anything they want to know can be found out with a bit of digging. That knowledge helps kids to accept each other with wonder instead of suspicion and fear. Fear has been the beginning of much intolerance and bigotry throughout the world. Don’t allow your possible inexperience with people of other cultures to hinder your child’s involvement. Learn about other cultures and broaden your horizons as well. 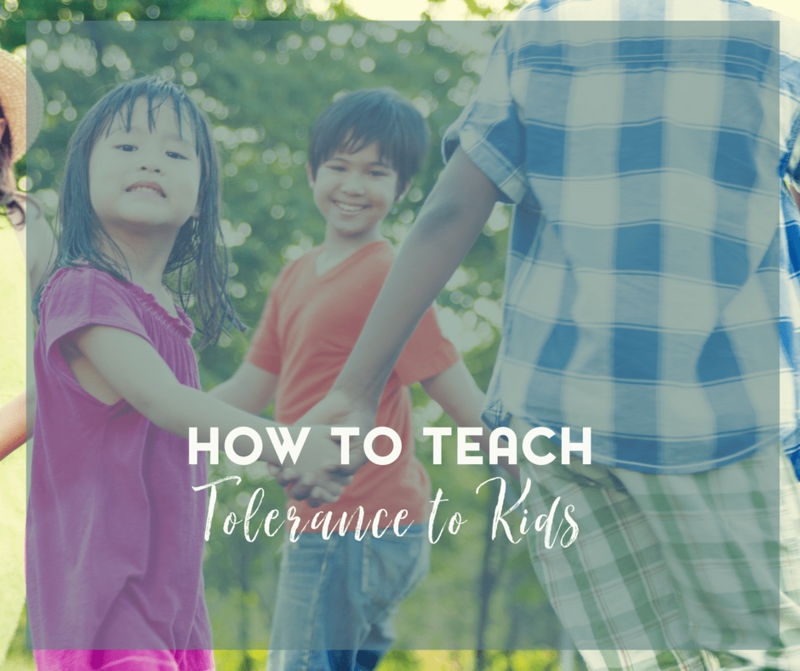 Tolerance can help your child make friends, gain opportunities and change the world. How can you help your child? 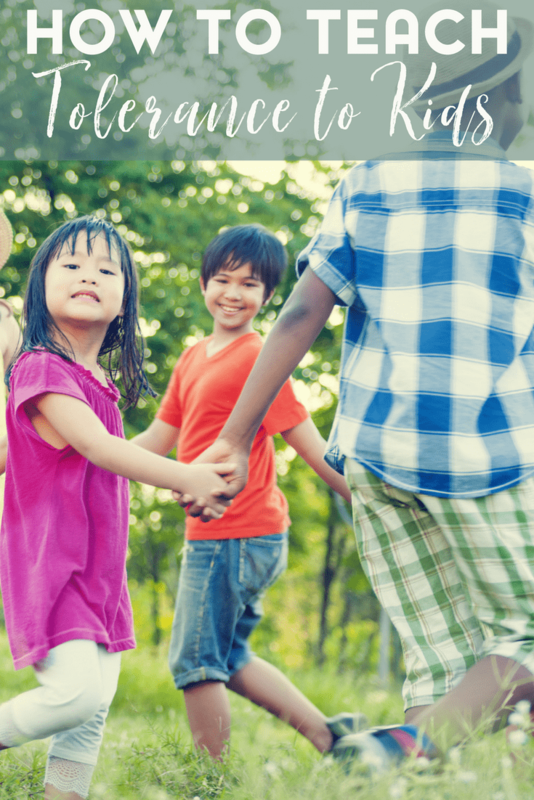 Here are some tips for fostering tolerance. * Examine your feelings about others – Parents are the first models for kids. When they see you acting suspicious around people of other cultures or making unfounded assumptions about them, it teaches them to act the same way. Discover where your feelings about certain cultures come from and, if necessary, seek to make a change that reflects a more compassionate attitude. * Get involved in cultural activities – When kids are learning about other cultures and religions in school, participate so that you can learn something as well. It shows your child that you care about others. Look to see if there are cultural festivals in your city or surrounding area. Albany has several Greek festivals, Polish Fest, Italian American Fest, Latin Fest. As well as an Italian American Community Center and a Polish American Community Center. Our church also hosts an International Community Picnic every summer. * Charity begins at home – Each person in your family is unique. Celebrate that by not comparing them to each other as one being better. Encourage your children to give back to others. Performing acts of kindness is a wonderful way to start. * Point out inequality – Even if it doesn’t involve your family, teach your kids not to accept intolerance and to point it out as unjust. This includes racial slurs, distasteful jokes, social stereotypes about groups of people and unfair practices. Acceptance of differences leads to a better-rounded child. You can also examine your own parenting skills and values. For example, we lead with compassionate parenting. We are also trying to be ethical parents. Diversity is part of what makes our country amazing. Diversity is important and diversity matters. Diversity matters to us because it’s at the core of our family. Why does diversity matter to you?